Dua acungan jempol untuk Ebuzzers kami! Siswa di English Buzz dari TK sampai Kelas 6 SD dengan baiknya telah memamerkan kemampuan bahasa Inggris mereka dan bakat alami mereka di depan penonton, orang tua dan teman-teman mereka pada hari Sabtu, 23 April 2016, dengan bernyanyi dan menari memakai lagu-lagu Hollywood dan film Disney, seperti lagu hit Frozen 'Let It Go dan Do You Wanna Build a Snowman? ', yang dilakukan oleh Ebuzzers kami dari kelas 2 dan 3. 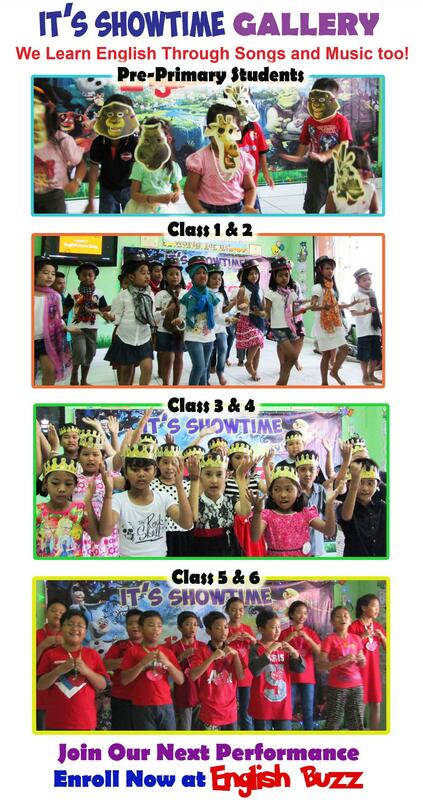 Dari judulnya tersendiri, acara 'It’s Showtime!' memberi kesempatan bagi siswa untuk menunjukkan kepada semua orang bagaimana mereka telah berkembang dalam kosa kata mereka dan keterampilan berbicara mereka dalam bahasa Inggris dengan menafsirkan lagu lain seperti lagu dari film Madagascar 'I Like To Move It', yang dilakukan oleh murid-murid TK kami yang lucu, ‘Accidentally in Love’- dari film Shrek- dinyanyikan dan diikuti tarian dari murid kelas 5 dan 6 serta ' A Whole New World ' dari film Disney tahun 1992 Aladdin, yang diikuti oleh semua anak-anak pada akhir acara . English Buzz, satu-satunya sekolah bahasa di Bali yang menggunakan metode holistik untuk mengajar, menyelenggarakan acara dan pertunjukan untuk menunjukkan perkembangan bahasa dengan cara yang menyenangkan dan menarik, melalui musik, bermain peran dan persaingan yang relevan dalam situasi kehidupan nyata. Sesungguhnya memang layak ditonton! 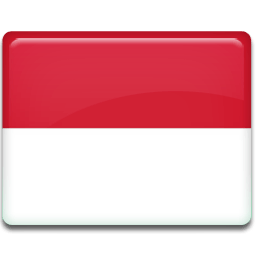 Tertarik dengan acara kami? Biarlah anak anda bergabung dengan kami agar dapat mengikuti acara kami berikutnya pada bulan Desember. Bergabunglah dengan English Buzz sekarang! Two thumbs up for our Ebuzzers! Students at English Buzz from Pre-Primary to Grade 6 levels have successfuly showcased their English skills and their raw natural talents in front of an audience, parents and friends last Saturday, 23rd of April 2016, by singing and dancing to Hollywood and Disney movies soundtracks such as Frozen’s hit song ‘Let It Go and Do you want to Build a Snowman?’, performed by our Grade 2 and 3 Ebuzzers. From the title itselt, this event ‘It’s Showtime!’ gave the opportunity for students to show everyone how they have progressed in their vocabulary and speaking skills in English by interpreting other songs such as Madagascar’s ‘I Like To Move It’, performed by our cute Pre-Primary-TK pupils, ‘Accidentally In Love’- from the movie Shrek- sang and danced by our Grade 6 and ‘A Whole New World’ based from Disney’s 1992 film Alladin performed by the whole group at the end of the show. 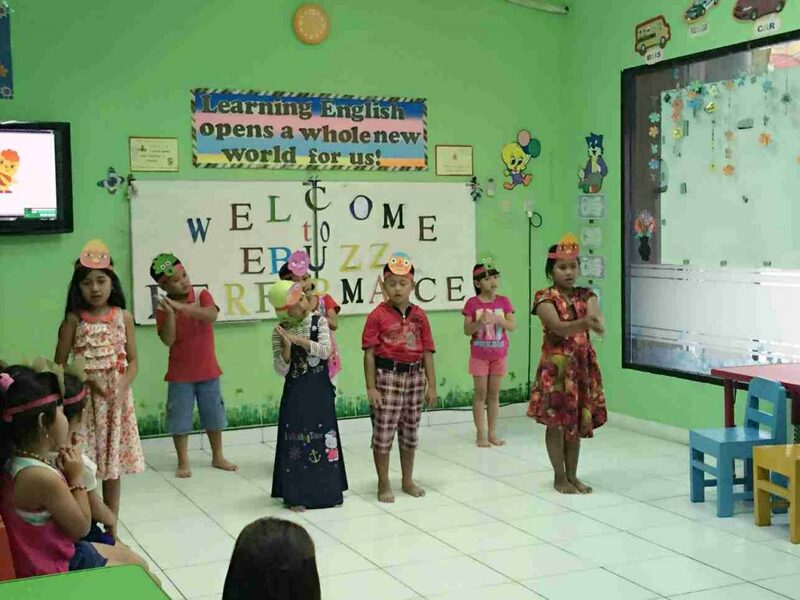 English Buzz, the only language school in Bali which uses holistic method of teaching, organizes events and performances to show their language development in an exciting and interesting way, music, role play, competition relevant in real-life situation. Truly, It was worth watching! Like our show? Let your child join our next performance in December. 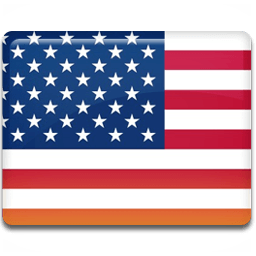 Join English Buzz now! Our Spelling Bee is buzzing around! 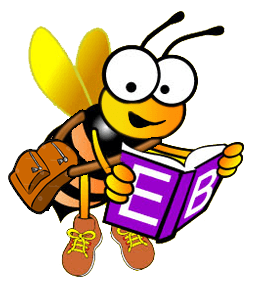 English Buzz Spelling Bee Contest 2015 - Our aim is to enable our students to enhance their vocabulary skills and develop their listening, reading and writing ability for better understanding of the English language. Also, this is a healthy competition where the student’s confidence level is boosted as they need to speak in front of their friends and teachers. Both cognitive and emotional skills are being developed in this type of competition. 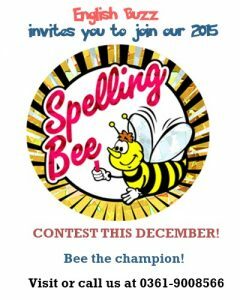 All students of English Buzz are encouraged to join this contest. This contest is open only to English Buzz students (from Primary to Senior High School) enrolled for a month or so and continuing to the next level. Employees’ relatives (to any degree) are not permitted to join this contest. Registration is Rp. 25.000 for each student. Deadline for registration is December - 4 - 2015. 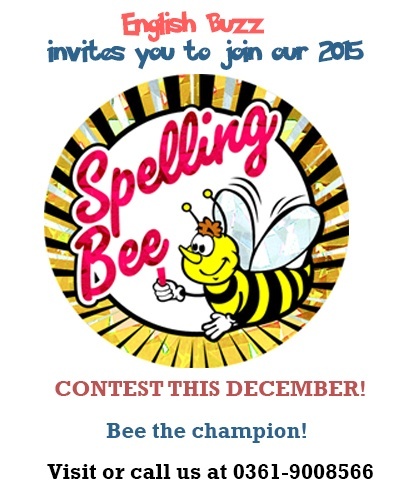 Note: Mechanics of the Spelling Bee will be posted soon. 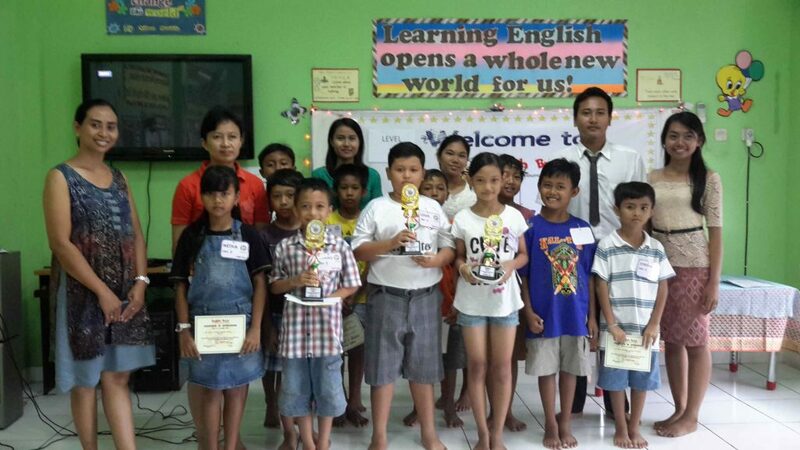 It was truly an amazing event when students demonstrated their talents and language skills last Friday, October 13, 2015 at EBuzz Bali. Students performed showing their singing and dancing prowess in front of their proud and supportive parents, in full energy and excitement, complete with head dresses and simple costumes and props prepared by our dedicated English teachers. Performances and events like this help in promoting psychological health and maturity of young learners. Children enjoy the opportunity to express their emotions and become aware of themselves and others through creative movement, and their command over language comes next. This is the philosophy of English, learning thru holistic method.